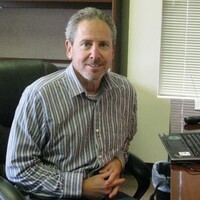 Eliot is currently Director of Technology Innovation at Gregg Drilling. He is tasks with supporting consulting clients with applying the most cost effective technologies for chlorinated solvent, petroleum and hex chrome source areas and plumes. Eliot’s background is seasoned with a wide array of industry perspectives and includes over 30 years of experience in regulatory (EPA), consulting (KPMG), and industry (Amoco Oil), Vironex Field Services, and Cascade Technical Services. Eliot is intimately familiar with the best practices for design and implementation of remediation technologies having a unique perspective on supporting 100’s of projects over the past 15 years. The best practices include the Search and Destroy® Methodology that that integrates MiHPT and other High Resolution Site Characterization data and injection designs to ensure intimate contact and residence time of reagents with contaminants. He brings a wealth of in situ chemical delivery and distribution knowledge to the industry and is a valuable resource to those requiring assistance with the design of their remediation solutions. Eliot is a graduate of the University of Illinois with a Masters in Civil Engineering. While it has been proven for the last 15 years that utilizing high resolution site characterization data can help you improve your remediation approach and lower overall life cycle costs, what has become clear in the last few years, is that understanding how mass vs. lithology vs. site hydraulics relate can help you set more realistic remediation expectations for applying these technologies. Learn how to implement and evaluate MiHPT deliverables to understand the remediation challenges you may face, particularly VOC mass sorbed into finer grained soil fractions of your target treatment zones, and develop realistic remediation expectations and goals. Direct and indirect contact delivery approaches. Where are we now with best practices? What delivery challenges are we trying to overcome? Emplacement of liquids or solids into fine grained soils by creating new pathways that rely on diffusion and advection for contact.